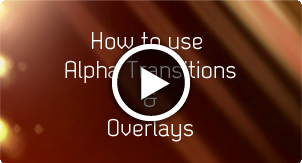 Following the great success of Light Transitions pack 1.0 and 2.0 here's a selection of brand new combinable light transitions, for the first time in 4K resolution. These are freely interpreted light effects to use as transition between clips that offer alternative solutions to standard transition effects. Scroll down to find out more and to watch the demo. Light Transitions Pack 3.0 picks up where Light Transitions Pack 2.0 left off with more dynamic freely interpreted transitions coming in a great variety of shapes, colors and lengths that are sure to add a sophisticated touch to your edit. Our Light Transitions have been used in huge productions such as The Walking Dead in USA and the extremely popular TV show Strictly Comes Dancing in UK. They may suit a wide variety of your projects including TV shows, promos, sport, music, news, corporate, creative videos. Whether you need a stylish, quick and simple alternative transition or a more colorful and complex one, you can choose among 50 different effects and modify them in many ways. Use your software or third party effects as well as the built-in video controls (Scale, Rotate, Opacity, Blend Modes or Speed Change) to modify the look as desired. Also stack several of them on top of each other to create endless variations. They come with alpha channel, use blend modes Screen or Add to enhance the brightness. Enjoy! The current date and time is Tue 23rd April 2019 :: 02:12:54 at Luca Visual FX Studio in London.